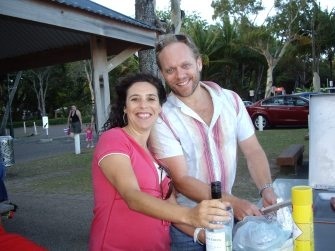 One of the highlights of my week is always meeting with all the Spaniards who come to Cairns for holidays. Unfortunately still there are not too many, it’s too far away for us and we usually stay closer to home. Couldn’t say why. But there are some of us who decide to take a year off and travel around the world. And one of the them is Alex. Alex and I had been in touch for a few weeks, while he was researching to plan his days in Cairns. And finally we met yesterday and had a long and very pleasant chat. Alex is travelling around the world after quitting his job in Barcelona. So far he’s been to some countries in Asia, and his next stop after Australia will be New Zealand and South America, finishing in Brazil. Travelling around the world is one of those things I always wanted to do, but never found the right time to do it. And although I’m now living on the other side of the world, I’ve come here directly, without stopping hardly anywhere on the way. Alex is going to be in Cairns for a few days, so what I have recommended him to do on those days is what you cannot miss while in Cairns: a trip to the GREAT BARRIER REEF , a trip to CAPE TRIBULATION , ideally staying overnight so you have time to visit the CAPE TRIBULATION BEACH and then KURANDA on a day trip. 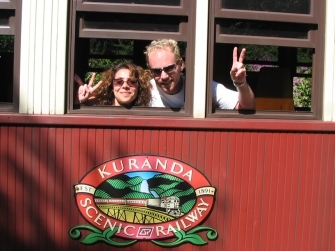 The means of getting to Kuranda are exceptional, travelling one way with Skyrail over the Daintree Rainforest and the other way with Kuranda Scenic Railway, a train built by the early pioneers. 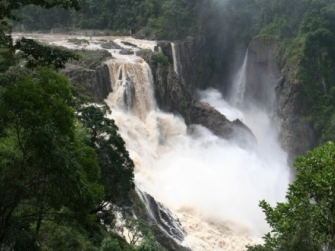 One of the highlights of the trip is Barron Falls, beautiful falls that during the rainy season are absolutely breathtaking. 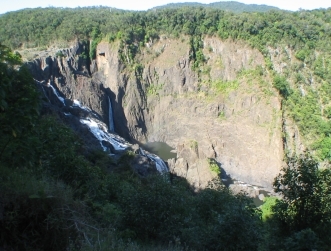 Here you have a couple of pictures of the Barron Falls, the first one is the one we took a couple of years ago when we came here on holidays. And the other one is what the Falls look like after some rain. Impressive, isn’t it? 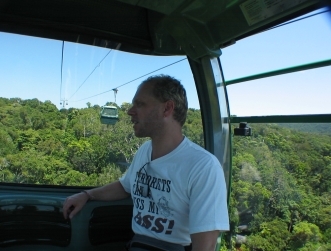 And here you have a couple of pics of our trip to Kuranda a couple of years ago. The trip was absolutely amazing as well as all the staff we met. Recommended 100%. I think Alex is also going to spend one day in PALM COVE , one of the beautiful CAIRNS NORTHERN BEACHES . 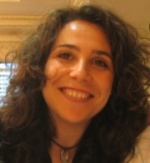 Alex, I hope you have a great time in Cairns and during the rest of your trip.